On the bottom left are the beginnings of 2 hats: Wurm in Knit Picks Galileo and my first attempt at entrelac, Fourth Grade Hat. 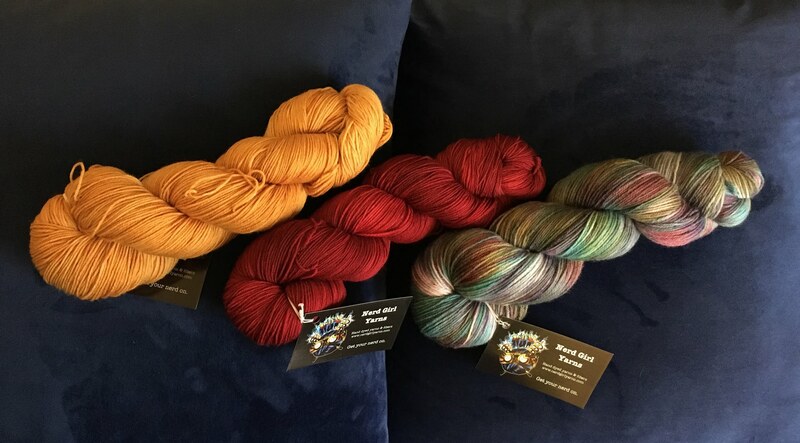 The rainbow yarn is one of the ones I bought at the Montpelier Fall Fiber Festival a couple of months ago, so I’m super excited to finally use it! Both of these hat patterns are free and are a lot of fun to work up. In the middle you can see a small section of cuff from my free griddle stitch mitts pattern. 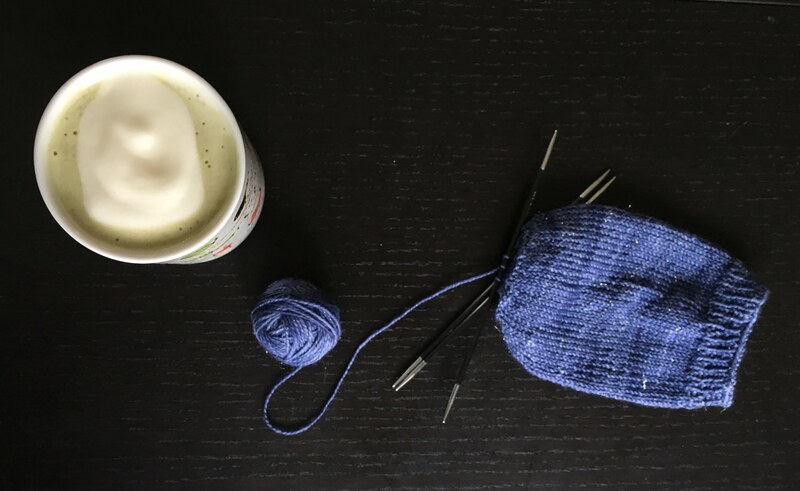 I’m making myself a second pair of mitts with this lovely sock yarn I’ve had for several years. Speaking of sock yarn, I have a few socks on the needles, but right now I’m working on the second socks for the two pictured on the top right. 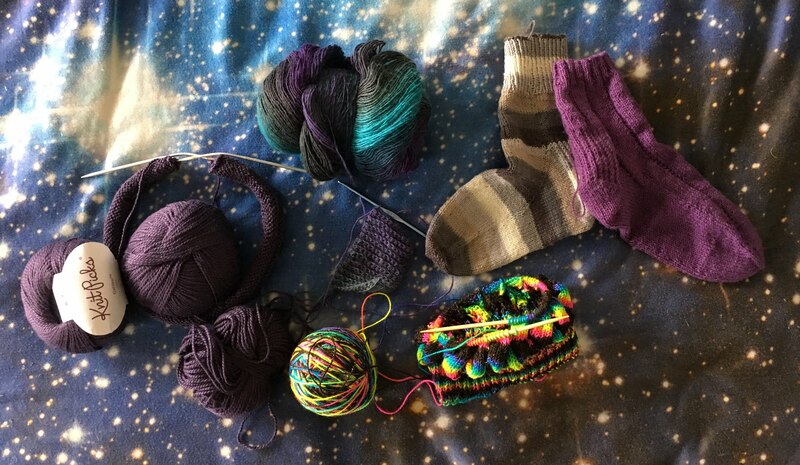 The striped sock is a plain vanilla sock and the purple one is the Vanilla Latte sock pattern. What’s on your hooks and needles?